The clock continues to tick. Counting down the seconds, minutes, hours and days until release day is finally here. Yes, October 4th is the magic day. By the time this goes live, we will be at fifteen days until that anticipated day is finally upon us. It will be the day my book, Reckless Beginnings will finally be available to purchase. Wow! I can’t believe it. Can you? Preparing for the launch and bringing awareness of the event has not been easy. It has involved numerous emails to bloggers, newspapers, podcast and TV shows. Sending out a press release to various target audiences. Booking a virtual book tour. (Due to begin October 1st and run for one month.) Organize book review tours. (due to begin, October 27th.) Plan a book signing event. (This will be at the Frazier Park library, Saturday, October 13th; 3:00 – 5:00 pm.) It has been an exhausting ordeal, but each day results from my efforts are beginning to trickle in. I had my first podcast interview with The Thrillers & Mystery Podcast. I was somewhat nervous in the beginning. But the host was wonderful and eased me into the interview and made feel extremely comfortable. It went longer than I had anticipated, about twenty-five minutes, but I’m quite pleased with it. I didn’t feel rushed and got to say everything that I had wanted to say. You can listen to the entire interview below. 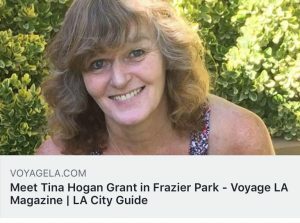 I was contacted by Voyage LA Magazine last month and asked if I would like to do an interview. It was a written interview which was nice because I knew all the questions up front and there were no hidden surprises. I spent a few days, taking my time and thinking about my answers. The interview went live earlier this week. You can read the full interview by clicking on the image. I have also been contacted by FOX 58 BAKERSFIELD NEWS to appear on the show. A date has yet to be set. But as soon as I have it, I will post it to the locals, so they can hopefully tune in. HOMETOWN STATION AM radio 1220 of Santa Clarita has invited me to be a guest on the show. I will be appearing live on October 9th at 8:40 am. Before writing my book Reckless Beginnings, being interviewed about anything had never crossed my mind. My lifestyle didn’t require it. Now all of a sudden it has become a necessity. It’s an important method to reach hundreds, sometimes thousands of people and spread the word about my work. How quickly one’s life can change. Like anything in life, the more you do something, the easier it becomes. I’m finding this with interviews. 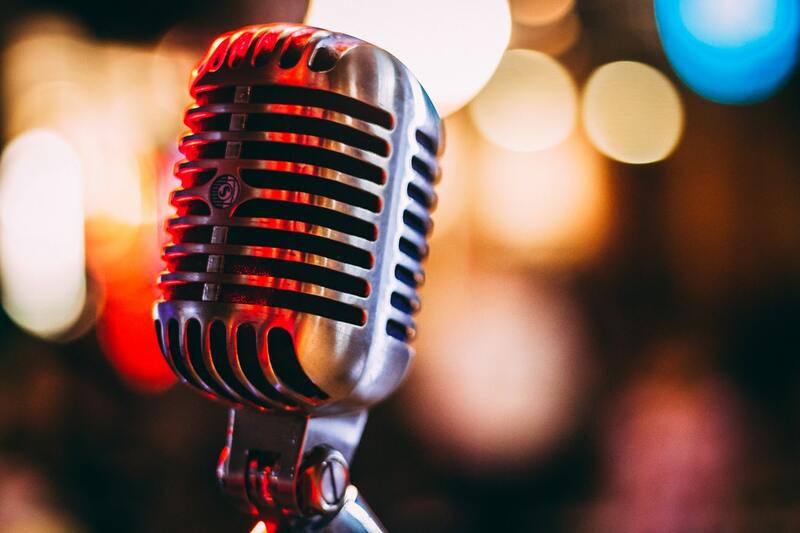 The first one I did, I was a nervous wreck, I felt I stumbled my words and even though I said a lot, I wasn’t saying what I had rehearsed before the interview. It’s quite a learning experience and one has to stay in tune with their mind and nerves and don’t let your nervousness run the show. With practice, you’ll begin to notice habits of nervous energy that need to be controlled. For me, it’s shifting in my seat, unable to sit still or tapping my fingers on the table subconsciously. Because of these habits that I’m unaware of at the time, I now sit on my hands while being interviewed. It works! If you know of any media outlets, (Podcasts, radio, tv, magazines, or newspapers) that may be interested in hearing about my book please send or post me a link and I will defiantly contact them. What is a book Aesthetic? 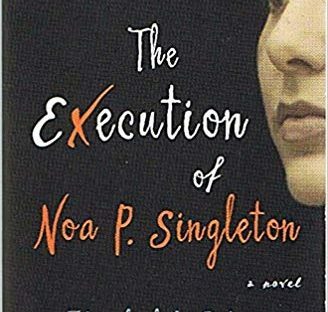 Our book club at the local library just finished reading The Execution of Noa P. Singleton by Elizabeth L. Silver and as always I like to share our review and thoughts with you. Elizabeth Silver is a graduate of the University of Pennsylvania, the MA program in Creative Writing from the University of East Anglia in England, and Temple University Beasley School of Law/ Elizabeth has taught English as a second language in Costa Rica, writing and literature at Drexel University and St. Joseph’s University in Philadelphia , and worked as an attorney in California and Texas. Born and raised in New Orleans and Dallas, she currently lives in Los Angeles with her family. Launch day, (October 4th) is fast approaching. I can’t believe it’s only three weeks away. It’s hard to fathom sometimes, that a story I’ve created, babied and protected, will soon be available for the world to see. As nervous as I am, I have to say, I’m also extremely proud of myself and I wish my parents were here to witness this huge milestone in my life. When I started this blog, (fourteen months ago. (Has it really been that long?) 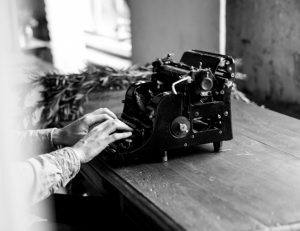 I wrote an article titled; It takes courage to publish your book. It was written, soon after I had signed the contract with my publisher and suddenly everything seemed so surreal. I am feeling the words I wrote even more so today. There are so many emotions that go into writing a book and this truly puts it all into perspective. 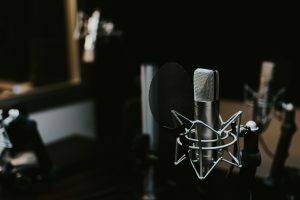 Over the past couple of months, I’ve done a number of interviews on podcasts, websites and book blogs. The most common question was; What inspired me to write the book? A question I’m sure I’ll be asked, at future events. Then it occurred to me that I’ve not discussed this topic on my own site. So I think it’s about time. Reckless Beginnings is women’s fiction based on True events that have happened in my life. Tammy Mellows, (the main character) is me. I wanted it to read like a story and not a memoir, (personal choice,) therefore, names, places and some facts about certain events have been altered. 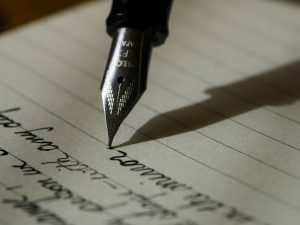 I developed a passion for writing at the early age of fourteen. I think having an author for a father had something to do with it. It was around this time, one of my older sisters ran away and couldn’t be found. 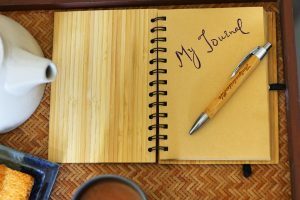 Unable to search for her, I became frustrated and began writing in a journal to gather my thoughts. My book begins with the disappearance of my sibling. A few years later and with my sister still missing, chaos began to erupt in my own life. I was on a path of making hideous choices and in denial because I wanted the white picket fence and the perfect American family life and ignored any signs that may disrupt that dream. I allowed my life to be dictated by a heroin addict, the father of my child. 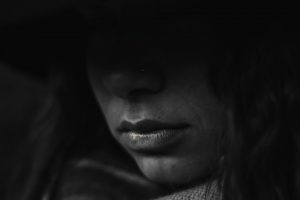 Believing that his needs were more important than mine, I got swallowed up in his lifestyle, losing my sense of direction, courage, and identity. Throughout the chaos, I continued to write in my journals. 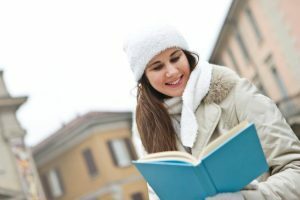 During that time, I searched for books written by other women that found themselves in the same predicament as myself but came up short. I only discovered “How to” books, but they were not the voices I wanted to hear. I needed to know how they coped. What did they do? 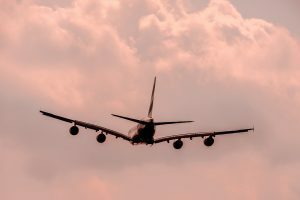 I wondered what their everyday lives were like; I yearned for some sort of connection with someone. I had so many unanswered questions. That was when the seed was planted for my debut novel, Reckless Beginnings. But it didn’t happen right away. I tucked it away and continued to struggle with the battles in my life. Writing it twenty plus years later was extremely difficult. 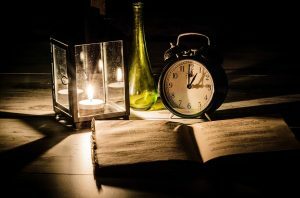 It didn’t occur to me that I would have to revisit such a dark time in my life and allow all the emotions I felt back then to resurface, in order for it to show in my writing. At times it became unbearable and I had to walk away, regroup and attempt certain scenes a few days later or sometimes weeks later. So why did I put myself through such pain? While writing the story I gave myself the title; The Silent and Forgotten One and soon realized, anyone who is involved with an addict becomes such a person. You may ask, Why? It’s because over time we allow our lives to be consumed by the addiction. We become a shadow, believing their needs are more important than ours. we become afraid to speak, stand up for ourselves or make any kind of decisions to better our lives. It’s a lonely place and we only feel safe with ourselves and our own thoughts. We lead a double life, letting those on the outside believe everything in our lives is a bed of roses and yet in reality, behind closed doors we are living a nightmare. When I couldn’t find any books written by others living such a life, I felt they should be heard and one should be written. I wanted to show the flipside of addiction. 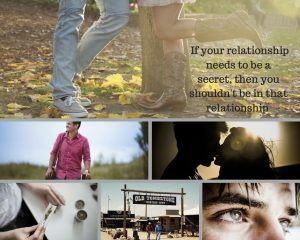 How it effects the significant other of the addict. Back then I was a victim, I now call myself a survivor. I also needed to understand myself during that time. Why did I put up with the abuse, keep silent for so long and not leave right away? Most of it was because of fear but much of it had to do with denial and wanting what most normal families had. Writing the book helped me unravel all of that and I’m hoping it will help others come to terms with their situation and listen to a voice who has been there and find the courage to turn their lives around. So there you have it. I hope this brings you some insight into the background of my book. Even though it was hard to write at times, overall I’ve enjoyed the journey and I hope you will enjoy the book. I was hoping to share this with you last week but it wasn’t ready when the previous newsletter went out. So I’m squeezing in a short blog because I wanted you to be the first to see it. I’ve been anxious to see this and I have to say I’m extremely happy with the finished results for the book trailer video for Reckless Beginnings. It delivers drama, suspense and questions for the reader, wanting them to know more. Let me know what you think. A date has been set for the launch party/book signing at the Frazier Park Branch Library on October 13th at 3:00 pm. Raffle drawing prizes: Amazon Fire 7, $25.00 Amazon Gift Card, Cavey’s Pizza Gift Certificate, Gift Bags. That’s it for now. While I continue to promote Reckless Beginnings, book two, Better Endings is in the works and I’m pleased with its progress. I’m about 20,000 words in and I can’t wait to share it with you someday. I hope you like it as much as I do. I love the soft matt colors that capture the mood of the main character Tammy mellows, who finds herself at a crossroads in her life. Struggling to recapture her identity and make sense of the chaos that surrounds her. This image shows her contemplating the decisions she has to make and whether she will make the right one. I would love to hear your thoughts about the cover in the comments below. Did it live up to your expectations? If you saw this cover on a bookshelf, would it captivate your attention? 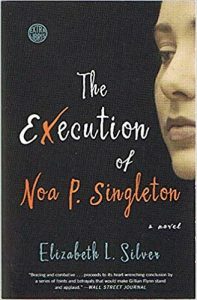 From looking at the cover, is it a book you would purchase? Now that the cover has been unveiled it’s time to give you some insights on other projects that have been happening during the preparation of the book launch. A few months ago Luster Lexicon ran a contest for their Writer’s Spectacle. 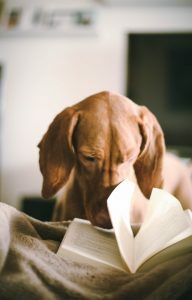 A place where they feature eight winning authors on their site for a month. I decided to give it a go and submitted myself as a contender. A few weeks later I received the first round of detailed questions, submitted my answers and was elated a week later when I was informed that I would be moving onto the next round. Again I answered more questions and submitted my answers. A month went by without hearing nothing. Then over the past weekend, I was told I was one of the eight winners and I would be featured on their site. I would like to thank Luster Lexicon for this opportunity. Click here to read my interview. I will be having my first podcast interview on August 27th with Thrills & Mystery Podcast. It will go live on September 10th. Having never done an interview before, this is a nail-biting event for me. Wish me luck! If I’m able to post the interview here, I will do so. The launch party/book signing event will be held at the Frazier Park Branch library. This is also where we hold our monthly book club meetings. I meet later this week to schedule a date. We are thinking somewhere around mid-October. Once confirmed I will post on the site. I hope to make it a fun event with raffle prizes for a kindle-white, gift certificates, book giveaways along with bookmarks, bags and other fun items. I’ll plan on doing a reading and make some time for discussion and questions. If you are in the area, come, join us. If you read the interview on Luster Lexicon, you probably noticed there was a little excerpt from the prolog of Reckless beginnings. That is a tiny piece. I will be posting the full prolog, only for my readers in about two weeks. So be sure to open those newsletters so you don’t miss it. A virtual book tour is scheduled for the month of October with Goddess Fish Promotions. I am also a host for this site which is why you see the host banner. This tour will make 8-10 stops a week on different book blog sites which will include, interviews and giveaways, plus a 30-day promotion on Twitter. If you are a member of my newsletter, you are automatically entered in the drawing for one of the first signed copies of Reckless Beginners. The drawing will take place on the launch day – October 4th. If you haven’t signed up yet, here is the link. Win a free copy on Reckless Beginnings. As the book launching day draws closer, I want to give a big thank you to all my supporters and followers who have been on board since day one. You are all amazing and I hope you enjoy my debut novel, once it reaches the stores. I hope to have some more updates in the upcoming weeks. The release date for Reckless Beginnings by Tina Hogan Grant is now October 4th, 2018. All press releases regarding this event can be found here. 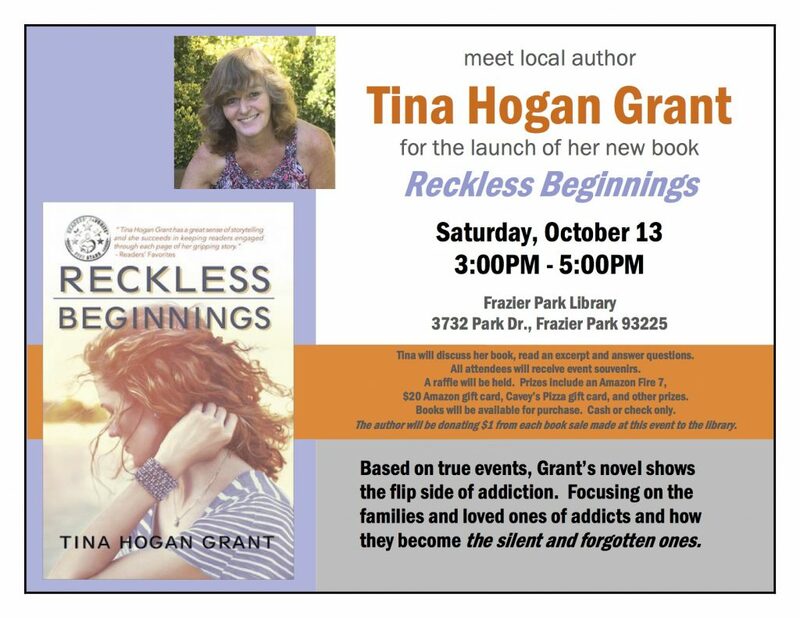 Frazier Park CA – Author Tina Hogan Grant’s debut novel “Reckless Beginnings” to be released October 4th, 2018, reveals what it’s like to be living with an addict. Women’s Fiction, based on true events, Hogan Grant shows us how these family members of addicts have become the silent and forgotten ones. In the media today, we hear how drug and opioid addiction continues to spiral out of control and how drug-related deaths are at an all-time high. But we never hear about the spouses, partners, or other family members of addicts and how their lives have been affected, Hogan Grant explains. Written from the author’s own experience, Hogan Grant puts the reader into the shoes of the main character, Tammy Mellows. A woman shadowed by her boyfriend, Steven who is also the father of her child and struggling with heroin addiction. Eventually, Tammy loses her identity as Steven’s addiction spirals out of control. 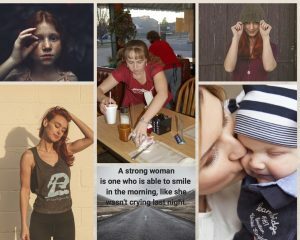 Like Tammy in my book and myself who lived with an addict, so many women live in fear every day. Each day is a fight for survival. Normality doesn’t exist. As the addiction intensifies, so does the violence and abuse, Hogan Grant says. 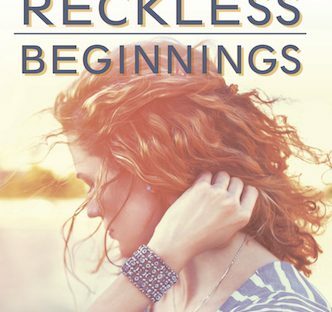 “Reckless Beginnings,” tells one woman’s story. How she found her strength and took back her life when she realized she didn’t have to settle and had choices. Local author invites the community to a book launch and signing event. Longtime resident, Tina Hogan Grant wants to share in the celebration of the release of her debut novel, RECKLESS BEGINNINGS. Publication date October 4th, 2018. The event will be held at the Frazier Park Library, 3732 Park Drive on Saturday, October 13th at 3:00 pm. Admission is free. Snacks and beverages will be served. 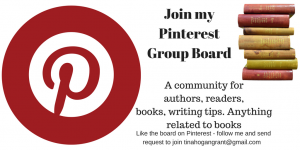 Grant will discuss her book, read an excerpt and answer questions. All attendees will receive event souvenirs. A raffle will be held at the event. Prizes include An Amazon Fire 7, a $20.00 Amazon gift card, A Cavey’s Pizza gift card, and other small prizes. Books will be available for purchase for $15.95. Cash or check only. In appreciation for hosting the event, Grant will be donating $1.00 from each book sale to the library. Twenty-five years in the making; Grant’s novel, Women’s fiction, based on true events, shows the flip side of addiction. Focusing on the families and loved ones of addicts and how they become The Silent and Forgotten Ones. Written from the author’s own experience, Grant explains; even though these events took place decades ago, today drug and opioid addiction continues to spiral out of control and is at an all-time high. Heroin usage has hit a record high because it’s much cheaper than prescription drugs and can be easily bought on the streets. We hear about these numbers all the time, but we never hear about the loved ones of addicts and how their lives have been affected. Every day is a fight for survival. Normality doesn’t exist. As the addiction intensifies, so does the abuse and violence. Grant’s novel, RECKLESS BEGINNINGS is one woman’s story, (Tammy Mellows) trying to make sense of the chaos surrounding her life and fighting to gain it back. Her journey shows that anyone in these situations has choices and that they don’t have to settle. Grant, commercial fisherwoman turned author was born in England and came to the States in 1979. After moving to California, she spent ten years fishing off the southern coast of California with her husband Gordon. 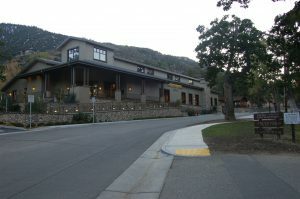 After retiring from fishing, they moved to Frazier Park in 2003 and spent the next ten years building their dream home, doing most of the work themselves. Grant is currently working on a sequel, titled BETTER ENDINGS. Press Kit – Contents – Author’s photo, contact, publisher info, book blurb. Book trailer. Are you like Tammy Mellows? 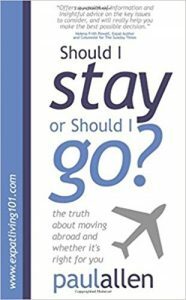 Did you move to another country? Tammy Mellows is the main character in my debut novel “Reckless Beginnings.” Due to be launched this summer. 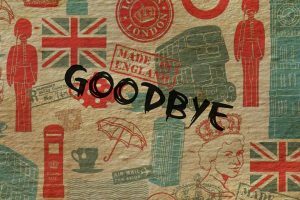 At the young age of seventeen, she leaves her own country, England to move to the United States. Leaving the securities of her home, job, family, friends, and neighbors behind. Are you like Tammy Mellows? Did you move to another country? 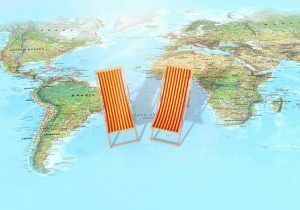 For those moving abroad because of a new job or attending a school, college or university, it’s probably safe to say, they’d never visited the new country before. But With the offer of a good education or a better paying job, many will sacrifice and take the plunge. Hoping they will like the country they are about to call home. Will you have health insurance in the new country? Your home – If you own, will you be selling. renting or leaving vacant? What about the utilities? Bank accounts – Will they need to be closed? 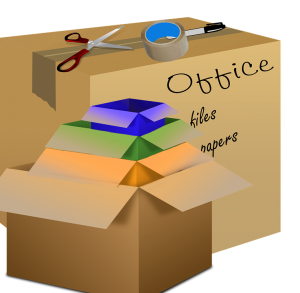 Vehicles – Are you going to sell them or have them shipped to your new destination. Consider the cost of shipping a car and buying a new/used one. Pets – What are the laws for bringing animals into the country? Furniture – Keep or sell? If you have children – what are your plans for their education? 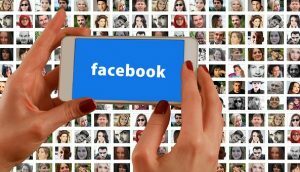 Income – How will you earn a living? Retirement? A secured job? What is the job market like in your field? Once you arrive, where will you be living? Make time to say goodbye to families and friends. I would love to know if any of my readers made the brave move to another country. Why did you move and are you happy you did? 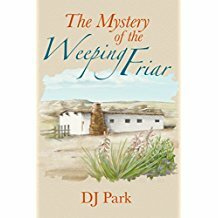 I just finished reading the novel The Mystery of the Weeping Friar, written by DJ Parks-a husband and wife team also know as Doug Parker and Jan Parker. 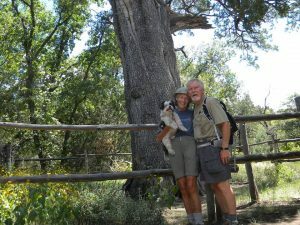 I had the pleasure of interviewing the pleasant couple and write an honest review. All answers are in their own words. 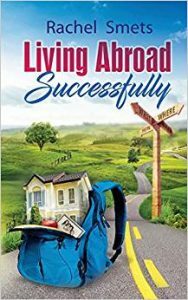 Copied from the back of the book – Doug and Jan Parker (Writing under the pen name DJ Park) enjoy outdoor activities, cooking, and music. They live in southwest Colorado. This week I had the pleasure of interviewing Michele I. Khoury – author of “Busted” and write my own personal review of the book. Looking for cover design ideas for debut novel. 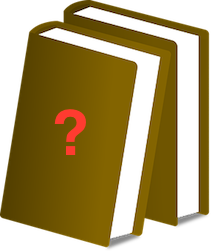 My publisher has asked me for some input for the design of the cover for my debut novel “Reckless Beginnings.” Currently I am drawing a blank and seeking some creative people for their ideas.